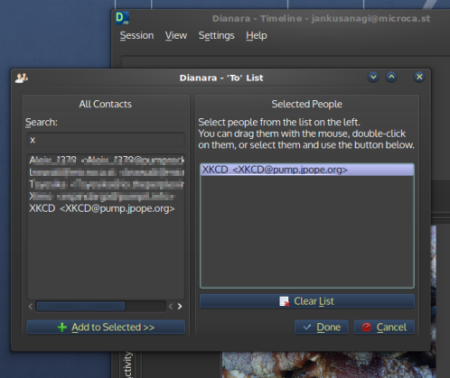 Just a quick note to say… Dianara v0.8 is out! You can now send messages to specific people. That includes private messages, if you unselect “Followers“. Ability to select people in the “To/CC” fields when posting. Option to set “Public” posting as default. Re-enabled HTML formatting when posting comments. 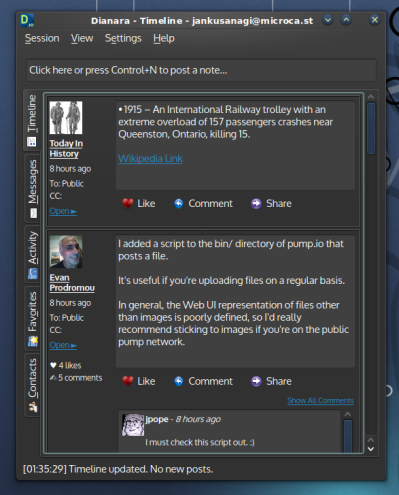 Nicer and more informative “Meanwhile” column (tooltips!). Note that there’s also been a change in the organization of the internal configuration file. This will cause most options to be reset when upgrading from previous versions. 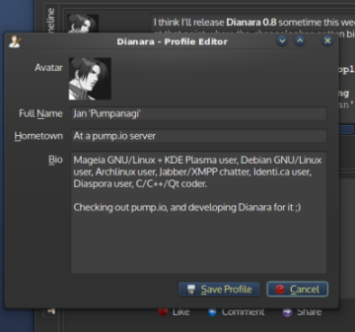 You can get the code from Qt-apps.org: http://qt-apps.org/content/show.php/Dianara?content=148103, and hopefully we’ll see Dianara packaged for some GNU/linux distributions in the future. For now, you can at least find it in Archlinux’s AUR, and there is a Gentoo Ebuild. You are currently browsing the Jan+KDE blog archives for July, 2013.